Whether you are new to church, back after a long absence or been in church “all your life”, thanks for visiting our page to learn more about our family. 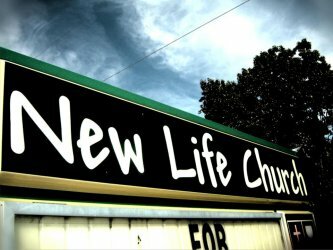 New Life Church is a great place to find your place to belong. We want you to feel comfortable to come just as you are. We want New Life to be a place where you can experience the presence of God in a way that helps you make it in the world that we live in. If for some reason you have a question that you can’t find the answer to, please call us. We feel confident that you will encounter God on a personal, relevant level. We Hope to see you soon! Our Mission: Everyone wants their lives to make a difference in this world -- and we want to help you accomplish that dream! Our desire is to equip you to use your God-given talents and abilities to serve the Kingdom, spilling over into the lives of others with passionate authenticity and life-changing truth! Kevin is our lead Pastor. He and Shannon have pastored the New Life Church for 19 years. They have 4 children; Katie, (27) Seth (23), Grady (18), Olivia (16). Kevin is passionate about teaching the Word of God and trying to make it relevant to 21st century living. His teaching style is contemporary/traditional with a little humor mixed in for fun. Shannon is the wife of Kevin and is also an ordained pastor with Foursquare. She loves being a pastor's wife and still thinks it's the greatest job in the world after 30 years of full-time ministry. Shannon enjoys cooking, reading, decorating, organizing everything and mentoring women with The Home Experience. They have pastored the New Life Foursquare Church in Vinita, Oklahoma for the past 16 years and enjoy raising their family in a rural community.